Based on the Sussex coast, the vibrant town of Worthing is on the doorstep of the stunning South Downs National Park and boasts a long, proud history and countless natural and cultural attractions. If you’re lucky enough to live in this delightful part of the world, your home really adds to your quality of life. Windows, doors and conservatories are a big part of this, and, at Worthing Windows, we’re the local specialists. Friendly, professional and knowledgeable, we have around a quarter of a century’s experience in the industry and in the area – so no wonder we love both! 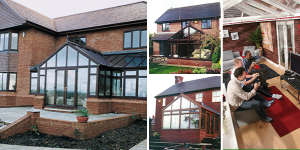 When it comes to conservatories in particular, we offer a range of styles to suit any home and budget. We’ll be with you every step of the way, from initial consultation and planning through to installation, maintenance and aftercare. Visit our Worthing showroom or call us on (01903) 215115 for a no obligation quotation.